PerkinElmer’s Clarus® 590 and 690 GC systems deliver superior sensitivity, capacity, and throughput – and multiple, flexible options to prepare your samples. The TurboMatrix MultiPrep+ and TurboMatrix MultiPrep, like other high quality PerkinElmer autosamplers, are built to work in conjunction with our GC and GC/MS products, including the new Clarus 590/690 GC systems, which offer a full color, multi-language touchscreen display; a robust integrated liquid autosampler; and, in the case of the Clarus 690, an oven with the fastest heat-up and cool-down rate in the industry. Building on this tradition, the TurboMatrix MultiPrep+ and TurboMatrix MultiPrep are great additions to the PerkinElmer industry-leading family of autosampler solutions, including the highly specialized, best-in-class TurboMatrix™ Headspace, Headspace Trap, and Thermal Desorption standalone autosamplers. 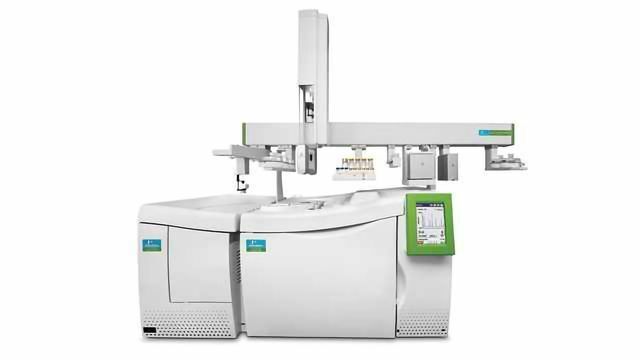 These rail-based systems can handle liquid injection and sample handling (on the standard configuration), plus headspace and SPME on the MultiPrep+ system, for the highest levels of throughput and flexibility. This is simply the most versatile sample-handling portfolio in the industry today. TurboMatrix MultiPrep systems also include advanced functionality, including mixing, barcode reading, washing, dilution, and derivatization, all on a single system. Best of all, you can switch between all these modes of operation automatically – making it an ideal multipurpose system for any scientist in any size lab. All of these capabilities and more are precisely directed by PerkinElmer’s Sample Manager software, fully integrated with the TurboMatrix MultiPrep+ and TurboMatrix MultiPrep autosamplers, and supporting our Clarus GC and GC/MS products. Sample Manager lets you see every vial and handling protocol right on your PC screen in a familiar spreadsheet format, and gives you highly granular control of the autosampler – for example, allowing you to potentially perform a different technique and/or set of handling tasks with each one of hundreds of vials. Perhaps more intuitive to use than any other analogous autosampler software on the market, Sample Manager ensures that no matter how you want them done, it’s fast and easy to precisely set up your list of samples and just walk away with confidence.